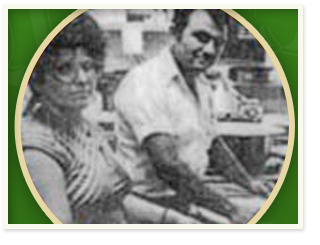 It was the summer of 1978 when Anna and Dimitrios Loukataris made their dreams a reality. Both immigrants of Greece, they came to America in the late 1950’s to capture the opportunities that many others had come to seek at that time. A seamstress and plumber by trade they both worked very hard to raise a family and make ends meet. After several years in Gary, Indiana, and jobs becoming scarce, they decided to migrate to Clearwater, Florida. Here Dimitrios was able to continue his plumbing much more successfully. This allowed Anna to stay home and raise their 3 children and instill the values of being proud, respectable, Greek Americans. Working part time at different local restaurants, Anna came to discover that she to could capture part of the American dream of entrepreneurship. With a strong work ethic and a love for quality ethnical food and of course the support of her family, Queen’s Pizza became a reality. Queen’s Pizza quickly became a hit in the local area. 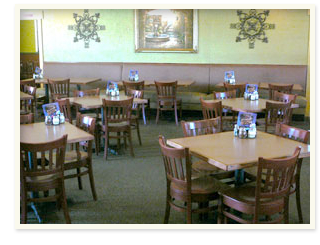 Anna’s secret was to give customer’s high quality, fresh, homemade Italian food with a Greek flair. For the first several years, running the business was a combined effort of the children, other family members, and friends. Dimitrios joined his wife on a full time basis after a back injury and surgery. Anna’s intentions for the family business was simple, provide a steady income to be able to raise her family. With no intentions of growing her business besides the little corner neighborhood pizza shop, Anna and Dimitrios continued on. With their children all grown up, married and having their own families and careers, conversations of other locations started to be part of the family gatherings. After moving to Greece for a few years, Anna’s only daughter Eva relocated back to Florida with her husband Tony and their children. Tony too was in the family business in New York for over 20 years. 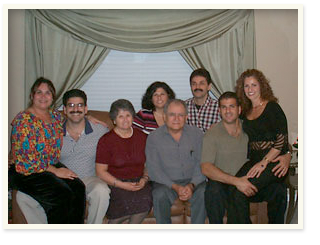 He quickly joined with his in-laws and in Oct. of 2000 Dimitrios and his son n law Tony opened the second queen’s pizza restaurant. With a 20-year history in the area, this larger full service queen’s was an instant success. Providing a larger menu of Italian food and specials for lunch along with a delivery service to the local area, this mixture was more than your neighborhood pizza shop. Peter, the youngest of Anna’s sons, decided to leave his electronics career and open the 3rd queen’s pizza in Feb. ’02. This restaurant was similar to the original queen’s in size and neighborly flair. In the summer of 2002 Anna’s oldest son John left his 15-year corporate career in the food business to relocate his family back to Florida. John replaced his father’s role at the 2nd location and continues to operate there with his brother n law. All the pieces were now in place to continue the family tradition.